What do you think of when you think about self-empowerment? Many imagine a person that speaks up for themselves; others see a person who sets both personal and professional goals and works toward achieving them. Both of those definitions would be correct, yet they’re only part of the story. Self-empowerment is a broader concept that encompasses all areas of a person’s life, from the physical to the spiritual. 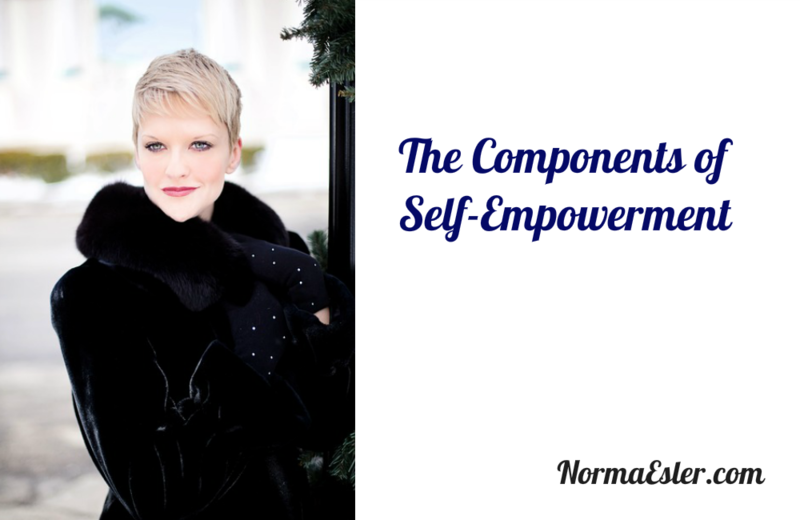 Here are some of the components of self-empowerment. How do you feel about your physical self? Do you like the way you look and feel? Do you have the energy, vitality, and wellbeing that you desire or is something missing? Physical empowerment is about both loving yourself as you are right now and seeking to improve your health and wellbeing. There’s a balance to be found here and personal responsibility to take. If you don’t feel physically well, you have to be empowered to seek answers about why you don’t feel well and to make changes. It may be something as simple as drinking more water each day or getting more sleep and it can be much more involved like losing weight, exercising, or going to the doctor. Pay attention to your physical body and take initiative to make changes when it’s required. Do you have control over your emotions or do they have control over you? What about your thoughts? Can you control them? Are you able to achieve a sense of calm, happiness, or focus when you need to? If you’re not in control over your emotions or thoughts, why not? What triggers affect you? Stress is often one area that throws emotional control out of balance. Learning to manage and reduce stress can help you feel more in control over your emotions and your mindset. Are you happy with your professional life? If not, why not? Many people find themselves feeling burned out, dissatisfied, or even angry about their current professional path. You are the only one who can change your professional situation. It may not be easy and it may take time; however, as soon as you begin on the path to professional empowerment, you’ll begin to feel better. Take charge of your career. Do you control your money or does your money control you? Ask most people and they’d say that they live paycheck to paycheck and their finances are totally out of their control. This often comes from feelings of lack or limiting beliefs about money. If you can shift your mindset and your habits, you can begin to feel financially empowered. A simple budget can really do a lot to help you feel in control over your finances. Every aspect of your life can be empowered – you can be in control over it. Take some time to assess the various areas of your life. If you don’t feel empowered and in control, it’s time to make a change.